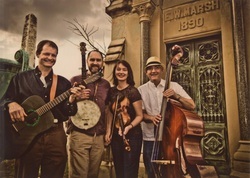 You may have seen us at Oakland Cemetery during some of their festivals. 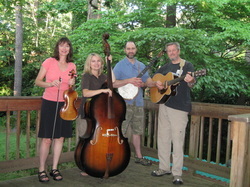 We play old time string band music form the civil war through the 1920's. We would love to play for your wedding or funeral. Click the picture for more band info and sample sounds. Great vocal harmonies and driving rhythm characterize this band. We play old time fiddle tunes and songs that move us. We have had appearances on the Mountain Music and Medicine Show and also have won or placed in three Stone Mountain Blue Grassroots Music & Arts Festivals. Call us to schedule your next big event! Click the picture for more info and sample sounds.